Nov 2012, Ramallah. 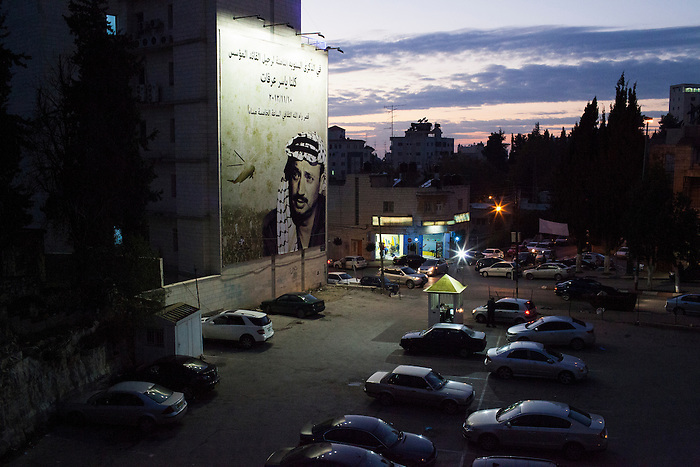 A parking in the city center, with the image of Yasser Arafat on an advert. The former president has remained an icon in the mind of most Palestinian, for whom he has been the unique legitimate leader for the National cause. However, there is a strong bitterness concerning his strongest achievement, the Oslo agreements, that failed in creating a Palestinian state and instead became the base of the unbalance distribution of power between the Palestinian Authority and Israel.